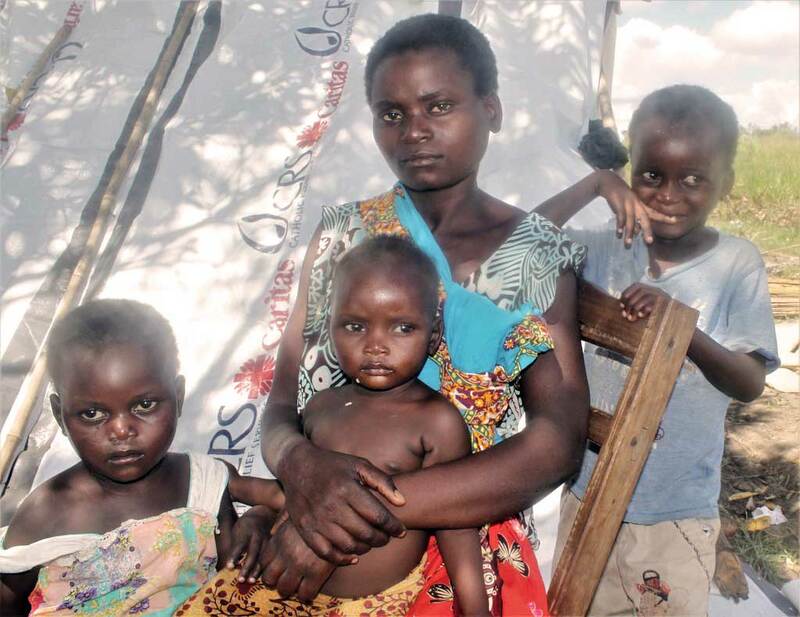 Isabel Joao’s family lost everything after Cyclone Idai hit Mozambique on March 15. Some 843 people were killed by the storm and subsequent flooding across flat rural areas in Mozambique, Zimbabwe and Malawi. Hundreds of thousands of people throughout all three countries are displaced and in need of food, water and shelter. Caritas Mozambique and its global partners are providing support to affected families. Isabel, 25, is among 600,000 people in Mozambique affected by the cyclone. The day after it hit she went to seek shelter with her husband and children in a makeshift camp at a school in Tica, Nhamatanda district. “We are living in this temporary shelter protected by a Caritas tarpaulin because we wanted to be closer to where we thought aid might come,” she says. Caritas has distributed heavy-duty tarpaulins and food, with one thousand households in Tica receiving 5kg rice, 7 kg beans, 3kg sugar, 1kg salt, 2 litres oil and soap. Before Caritas distributed food in the area Isobel’s family did not eat every day, but now they have enough for the immediate future. The family is waiting for flood water to subside so that they can see the state of their agricultural plot. But there is further uncertainty because they have no seed to plant. Candido De Sousa, 45, a teacher at the school in Tica were the Caritas aid distribution took place, has seen at first hand the problems facing the community. 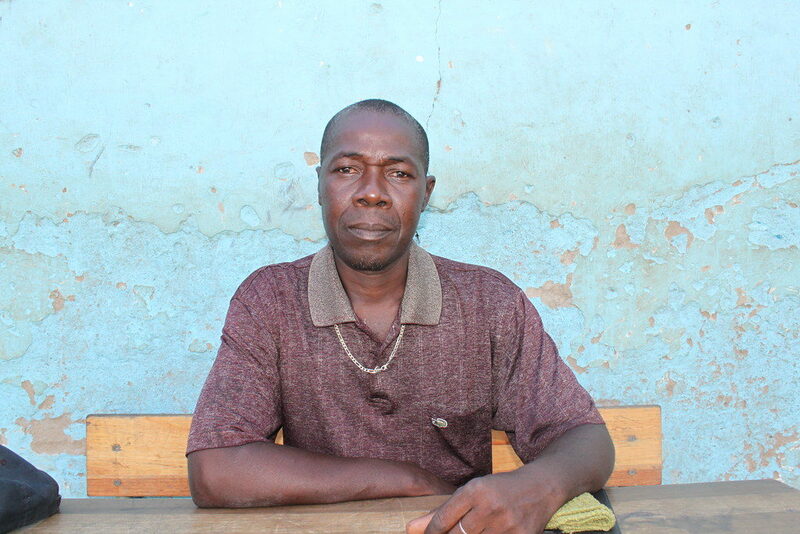 Candido, who has worked at the school for eight years, and his wife and five children were spared the worst of the cyclone, which left their house undamaged. Before the cyclone, the school had 27 teachers and 1,600 pupils in two buildings and a number of other outhouses. Although classes have resumed, Candido says only half of his students are now attending. “I think this is down to the damage and the situation people find themselves in,” he adds. Candido says the children are facing trauma, hunger and the effects of homelessness. The teachers are hoping that the school will be quickly repaired, reorganised and classrooms re-roofed, but they fear a long wait, with staff facing their own hardships and school documents were destroyed in the floods. There are many affected by the cyclone who are still in need of help. Caritas workers say that people urgently need more food and clothing, cereal seeds, construction materials and kitchen kits. 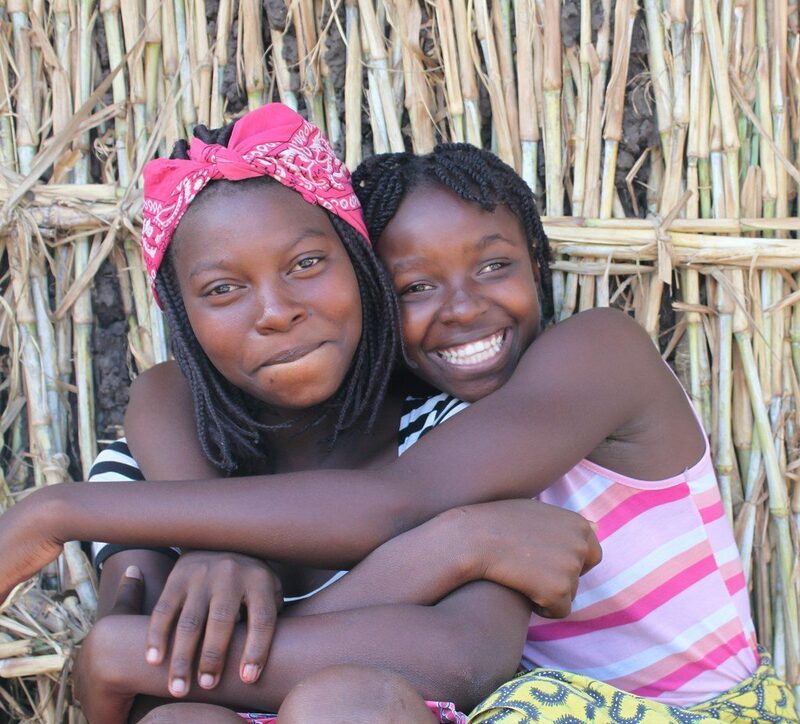 Sixteen-year-old friends Linda Lucas and Maria Domingos, who are living nearby in another makeshift camp, both lost their family homes in the cyclone. The friends are finding life in the camp hard and miss their homes and former lives when they played with friends and watched television. ‘At home we had a nice toilet, but in the camp it is a latrine which everyone uses and it’s horrible,’ says Linda. Maria says she misses things like her winter blanket, chairs and going to school. “My school books and uniform were washed away in the floods,” she adds.